The DIVE-Turbine is a propeller turbine with fixed runner blades. The adaption of the runner speed is based upon the permanent magnet generator 3and electronic inverters 4. 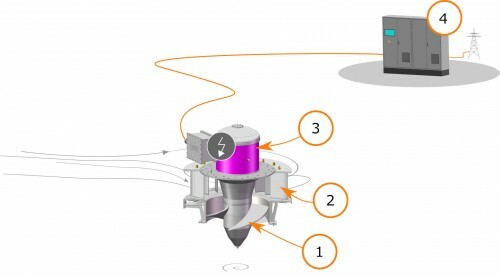 The DIVE-Turbine can be single, double or hybrid regulated depending on its application. 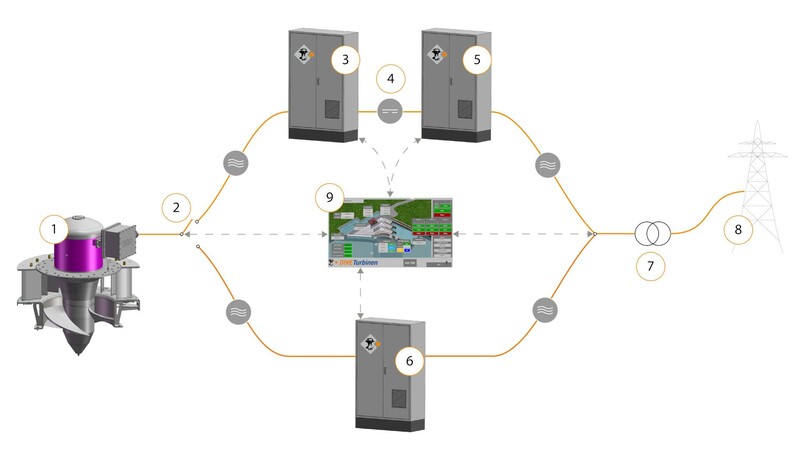 For operation points with more than 70% of discharge the inverters are bypassed with direct grid feed-in at constant runner speed.